The sensibilities and mores of 1880's Stanly County were nearly in a different dimension than they are today, in 2018. It would take more than 100 years for certain practices, that do not turn an eye today, to transform from jail, shame and prosection in 1887. 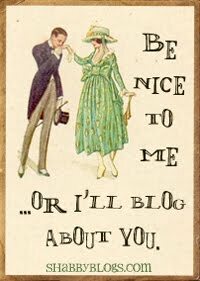 This is the story of one Julia Ann Ross, of Stanly County, NC and her socially disallowed lover, Charlie Bruton. Julia Ann Ross was born January 17, 1865 in southern Stanly County, North Carolina. 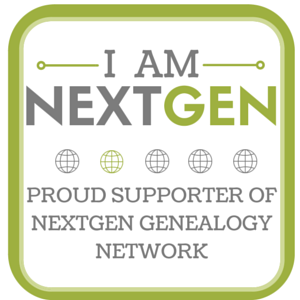 She was the sixth of the twelve children of George Packingham Ross and his wife, Martha Catherine Nobles Ross. Julia Ann was the first child born after her 34 year old father came home, limping, but alive, from service in the Civil War, a member of Lane's Brigade. G. P. Ross had an interesting experience in the war. He enlisted on March 27, 1862 in Albemarle, with his nearest Post Office being listed as Norwood, by Capt. Moody for the period of the War. He was a Private in Company K, 28th NC Regiment. 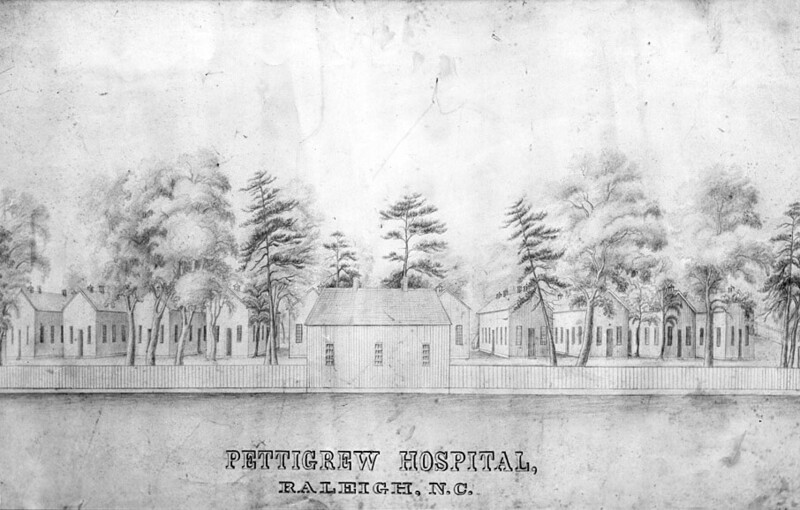 He was detailed by the Secretary of War to the Pettigrew Hospital in Raleigh, NC, as a nurse, on July 21, 1864. He was assigned due to a disability that arose due to "Vul Sclopt" or Vulnus Sclopeticum, meaning a gunshot wound, to his left hip, but was otherwise in good health. This had followed a stay in the Wayside Hospital, or Hospital No 9, in Richmond, Virginia. So G. P. Ross had made it back to his wife and children very much alive, with a crippling, but not debilitating wound. Julia Ann Ross was neither an orphan nor a fatherless child. She had many immediate and extended family members in the area, being the granddaughter of Woodson and Polly Ross and Daniel and Jane Nobles. The first census that Julia shows up in is the 1870. It's the era of reconstruction. Her father is a farner in Center Township, near the town of Norwood. His neighbor is Calvin Lee, an ancestor of mine, so I know whereabouts the family lived. The odd listing of the family, with the youngest three children leading in is due to them being listed on the next page. Fifteen year old brother, Warren, here as "Warner" is listed as a mute. George and Martha lost a few of their children before they reached adulthood. The handicapped Warren would remain with them for life. But their 6th born Julia Ann was a healthy and able young woman who made it to adulthood. But she was a different kind of child. Charles "Charley" Bruton was most born in Montgomery County, North Carolina, near Troy. He is first seen in the 1870 census, living and working in the home of William and Caroline Bruton, along with his mother, Harriett and his grandmother, Hannah. 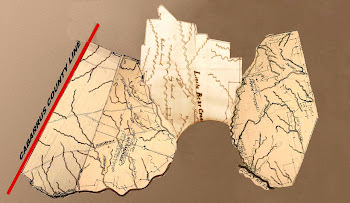 The Brutons were large land holders in the East-Central portion of Montgomery County. Charles was without a doubt, born into slavery, but by fortune of his late birth, he had not remained in it long. As was most common upon emanicaption, if they had not taken the name before, former slaves were known by and adopted the surnames of, the plantation owners, sometimes that of prior slave masters and sometimes those of the current ones at the time of emancipation. It appears Charles, his siblings and the older generations of his family all went by the surname "Bruton". 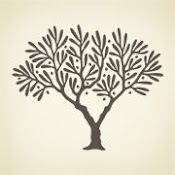 The Genealogy Trails History Group gives a fairly brief and informative synopsis on the origins of the Bruton family of Montgomery County in thier biography of businessman, John C. Bruton, who whose born into this extensive family. As a wholesale dealer in and manufacturer of lumber, John C. Bruton has been prominent in southern lumber circles for a number of years. For about five years he has had his home and business headquarters at Columbia. He is a man of large and substantial resources and a valuable addition to the citizenship of South Carolina. 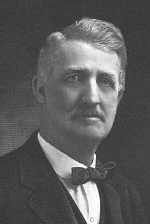 Mr. Bruton was born in Montgomery County, North Carolina, February 8, 1856, son of James T. and Jane (Bruton) Bruton, Bruton is a name of French Huguenot origin. The first in America left France and settled in old Williamsburg, Virginia, in the early part of the seventeenth century. Members of the family built there an Episcopal Church that is still standing and is known as Bruton Church, and is said to be the first Protestant Episcopal Church erected in America. Some of the descendants of those old settlers subsequently moved to Montgomery County, North Carolina, prior to the Revolutionary war. In that section of the Old North State and neighboring counties the name has long been one of enviable and honorable prominence. Largely as a result of the war, John C. Bruton inherited little from his honorable ancestry except a good name and character. The William Bruton, with whom Charles Bruton's family lived with in 1870, and were probably the former slaves of, was the son of James Ozier Bruton (1787-1873) and Dianna "Dicey" Parsons (1790-1881). He was the grandson of a Rev. William Bruton and Sarah Elizabeth Ozier and Joseph Parsons and Nancy Jordan. Joseph Parsons was the son of a Colonel Samuel Parsons, a militia Captain during the Revolutionary War, who is said to have been born in Wales and buried in the Parsons family cemetery in Wadeville, Montgomery County. The Brutons and Jordans also had very deep roots in Olde Montgomery. William was a brother to John Turner Bruton and an uncle to John C. Bruton mentioned above. He was born about 1816 and he and his wife Caroline raised a family of 9 children. He passed away on January 15, 1886. Charles Bruton was married more than once. His marriage certificates lists his parents as Harriett and William Bruton. There was no listing in a census or deed or other document of a black William Bruton, except a brother of his who bore the exact same name as one of William and Caroline Bruton's sons. As Charles was noted as a mulatto, a person of mixed-heritage, it is considered that William Bruton, slave owner, was his father. This was possible, but yet a theory among descendants, and with the new science of DNA could possibly be proven or disproven. By 1880, young Charles had found work in the busy and bustling gold-mining community of Gold Hill in Rowan County. He may or may not have tried his hand at mining. In 1880, he was working as farm labor for a Christenberry Holshouser. Charles's age was fluid. As with many other African-Americans, he may not have been aware of his exact age of birth, and therefore labeled it and told it as whatever best suited his situation. 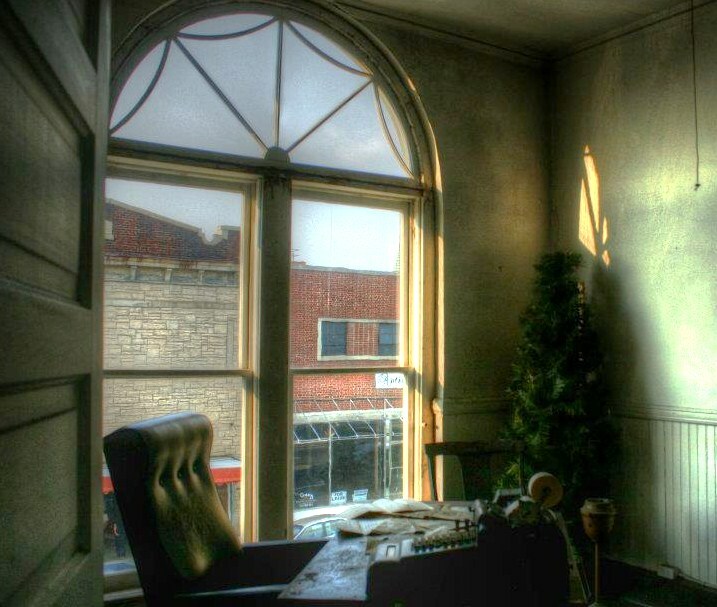 He was far older than 12 when he worked for Mr. Holshouser in Gold Hill. 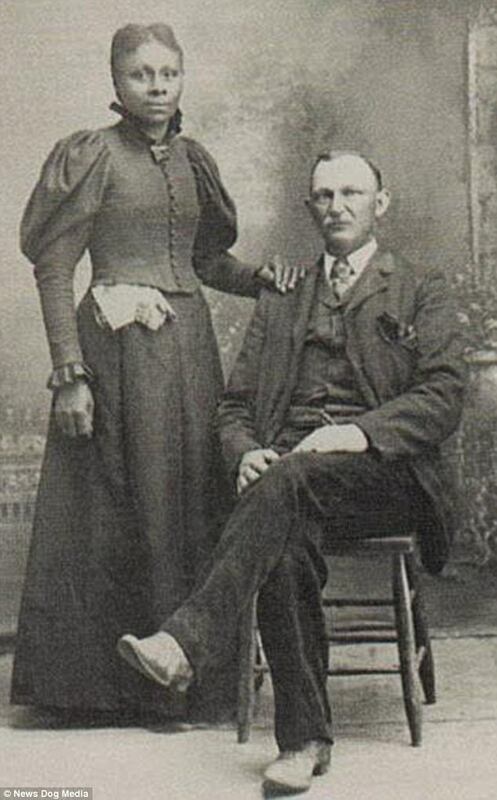 In fact, he fathered his first child, Clarence Alexander "Coot" Snuggs with an Ida Snuggs, in Stanly County, just two years later in 1882. So in 1880, Julia Ann is a teenaged girl living around the area of South Stanley High School on her family farm. Charles Bruton is at least in his early twenties and soon to be married to Eliza Forrest, with 3 children to be born to the couple in rapid succession. He roamed between Rowan, Montgomery and Stanly Counties, but had chosen to make the Norwood area his home. He had evidentally gotten into enough trouble to have landed himself in jail at some point. Maria Barton grew up in the Wolf Pit Section of Richmond County. The 1880 census had her still in Richmond County, living with Kesiah Barton and her own young son. She is listed as Kesiah's daughter, but was actually her granddaughter, her parents being Joseph and Mary. It appears Maria must have moved to Troy in the interim between 1880 and 1887. It appears she was also considered a woman of "low" charactor, having had a child out of wedlock, and this may explain why she was living with her grandmother and not her parents. Relationships between persons of different ethnicities were not just frowned upon at this time in history, only twenty years after the war, it was illegal. While persons often chose to look the other way if a relationship occured between white men and nonwhite women, if the female partner was Causcasian,however, it became a major tragedy, an upheaval, a sin worse than any other. Charles Meehan, a white Irishman and a Hester Meehan, who was born in Canada. A family historian said: ‘For Charles, it was just a natural thing to marry this woman who racially wasn’t the same as him but in every other way was the love of his life’. Charles and Hester were born in 1856, three months apart. They were married in Canada, where interracial marriage was legal though frowned upon. But for reasons that are unclear, they later headed south to Nebraska with three children in tow. Julia Ann Ross was a woman before her time, but she was not alone. History was full of stories of the wives and daughters of plantation owners giving birth to babies who were obviously not white. These unfortunate babes were disposed of in one of two ways, taken secretly by a maid or midwife to the slave quarters and given to a mother there to raise, or else smothered or drowned or killed in some other horrific way, hopefully before the master of the house saw, and disposed of as quickly as possible, the father or grandfather being told that the child was deformed or stillborn. The shocking story made the papers far and wide. Julia Ann was said to have denied even knowing Charlie Bruton, at first. She later recanted, after how much and how intense questioning she endured is unknown. The statement included "on approaching the jail", so it may have been the fear of being incarcerated that brought her to confession. On his part, Charles had not had an easy life. Just four months earlier, he had been shot at by some unreported person. The bullet grazed him with no severe injury. Had he and Julia Ann been seen together already, their relationship suspected? Could this have been a warning shot from an angry father? This next report included the fact that Charles was ploughing. Could it be that heavy leather straps worn by plowing farmers saved him from severe injury? It still seems like a warning shot from an angry father. G. P. Ross was a studied Civil War soldier. There is no doubt he knew how to handle a gun. To make matters worse, Charlie wasn't just of mixed race. He wasn't just also a married man with young children. Charles Ross was also an ex-convict, having served time while a resident of Montgomery County for breaking and entering. All papers noted that Charles Bruton was a mulatto, an archaic term for someone of mixed race, possibly the son of William Bruton, the planter, or another of the white Bruton family or of someone near their farm or employed by it. He had moved from Montgomery to Stanly County after his release from jail, but had not kept a clean slate. As the below article reports, Charlie broke into the Parnell Brothers' store, stole $13 cash and $5 in merchandise. While this does not seem like a great deal now, remember the year was 1887, over 130 years ago. It was a significant haul. The breakin occured on August 19th, about a month before Julia Ann Ross was discovered at Maria Barton's. On August 20, Charles was seen wearing a hat and shoes that had been stolen from the store and with Julia Ann Ross. Julia was described as young and good looking, and seemed to be the persuader of the crime. They were planning to run off to South Carolina. It could have been that they were on their way to Charleston. Some time ago, I discovered while reading books on the Ball family, and in early histories of Charleston, that the town had a small but acknowledged community of free persons of color, mixed couples and the like, that were resigned to a specific neighborhood, prior to the Civil War. Most of them were skilled craftsmen and businessmen who had came to the city to make a comfortable living. I had read the story of one mixed race couple who dwelt there, the fully Causcasian individuals in the community assuming the identity of mulattos in order to skirt the laws. This area might have been the couples destination, somewhere they could blend in without alarm or arrest. The couple was caught and charged with fornication and adultery, but not miscegenation, as may be expected. Charles was sentenced to 18 months in prison. He was also charged with larceny. He had a fine of $200 levied against him. He was his own bondsman in conjunction with W. D. Bruton. Julia Ann was sentence to 8 months in jail, but it was reduced to 3 months with good behavior, and if not by law, by social ostracization, ran out of Stanly County. So what happened to this wayward couple after their public scandal? The parents of Julia Ann, G. P. and Martha Ross, remained in Stanly County, where they both died within 20 days of each other in 1916. There was an horrific influenza virus going around that may have contributed to their deaths. Julia Ann Ross removed to the growing city of Charlotte, a populous area where she would be considered anonymous. On March 9, 1897, at the age of 32, she married William Henry Tyser. 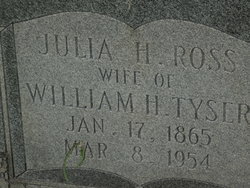 W. H. Tyser, (Or Ticer), was an old Civil War Vet, 25 years Julia's senior. He was from a Virginia family and had married into Mecklenburg's coveted Berryhill family and had lived in the Berryhill section with his wife Dorcas, with whom he had two daughters. They had obviously gotten a divorce, although I do not know for certain, but she remained his "widow" in the City Directories for years after he married Julia. Julia and William Tyser would have 3 children together. William Henry Tyser would die shortly after his last son was born. Of his two daughters by D. C. Berryhill, one died as a child and the other lived to marry, but died as a young woman, 6 months after her marriage. All of his living descendants came through Julia Ann Ross. Julia Ann continued on after her husband's death and lived a long life. In 1910, she and her three children were still livng in Charlotte. Sometime between 1910 and 1920, the family would move to Belmont, in Gaston County. By 1920, her daughter, Cora Essie, had married at the age of 18 in 1914, and she and her husband, Robert Helms, and two little girls were living with his parents. Julia Ann's two sons, still in their teens, had both married recently as well, and both of them, with their brides, were living with Julia Ann. No occupation was shown for Julia Ann, but her sons and their wives were all working in the cotton mills. By 1930, all the children were out on their own. 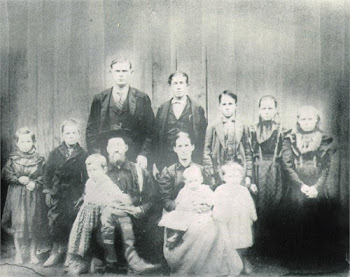 Middle son, Robert Ross, and his wife Dorothy had been busy and had six little Tyser's all under the age of 9 and the youngest 4 months old. They were living in Belmont still, and Robert was the only one working, in the cotton mill, but it appears his wife had worked part of the year. Julia Ann was obviously there to help take care of the 6 small children. The family size had not changed by 1940. Rob and Dorothy had decided six was enough. They were still in Belmont, with Julia Ann as their live-in Nanny, but Rob and Dorothy, and the 4 oldest children, all the way down to the 13 year old, were working in the Cotton Mills. Child Labor laws had obviously not taken affect. Julia Ann, 75 in this last census, would live another 14 years. She passed away on March 8, 1954 at the age of 89. She passed away in Charlotte, but was buried in Belmont. Born at the end of the Civil War, to a Civil War soldier, and dying in 1954 at the onset of the Rock and Roll era, with TV's, Radio's, Telephones and Automobiles everywhere, just imagine how much change she had seen in her life. What she did not see was an era, yet to come, when what she had done would not even turn heads, nonetheless not end her up in jail. But what about Charles Bruton? Did he continue with a life of crime? Was his life worse for the wear? Apparently not. By 1900, Charles had returned to his wife Eliza Forrest Bruton, whom he had married in 1880. They were farming and raising a family in Center. Charles farmed and even owned his own land. He had first bought a lot from Eben Lowder and wife, S. A. Lowder in November of 1900. He found it difficult to pay his taxes, however, and at times, found portions of his property sold for taxes. In 1918, T. H. Hudson sold a 4 acre portion of land that bordered Charles Bruton, and gives us more of the general idea where Charles Bruton lived. Still Charles and wife Eliza were one of a handfull of African American families, notated as "Col" or colored, to own property in Center township in the early part of the 20th century. Charles owned 155 acres, by far the largest property owner in this group, the only one close, being his neighbor, James Hudson, with 129 acres. As is first purchase of land was less than 2 acres, perhaps only a homestead, Charles, despite a few tax problems, had built a successful and productive enterprise, buying and building himself a substantial farm. The 1910 census reported that Charles and Eliza, now empty nesters, owned their farm free and clear without mortgage. There are some errors in this census however. Notice that it reported they had been married 42 years, and Eliza's age only 46. The 1910 census also recorded Charles as white, but by 1920, he was "Mulatto", or of mixed ancestry, again. They had a granddaughter, Isodore, living with them. The 1920 census also informs us that they were living on the "Albemarle" road, which would become known as Highway 52. This was Charles last census. He passed away on July 15, 1923 at the age of 59 years, 10 months and 7 days of Gastroenteritis resulting from endocorditis. He left a will, with T. A. Hathcock as administrator. Charles left the homeplace to his wife Eliza. He left $50 to his daughter Bertha Bruton Horne. He asked that his just debts be paid and afterwards, the residual of his estate to be divided equally between his wife and his 4 surviving children: Nina (Donna or Ina) Horne, Bertha Horne, Qually Bruton (Evander Qually) and Finch Bruton (Doctor Finch). Charles was buried at East Macedonia Church, near where he lived most of his life. Two, life goes on....even after scandal and what may seem at the time like the end of world.